Agency, 6 December : Six US Marines are missing after two aircraft crashed into the Pacific Ocean off Japan’s south-western coast in a mid air collision. Search efforts are continuing after only one of the seven crew members was found, in a stable condition. 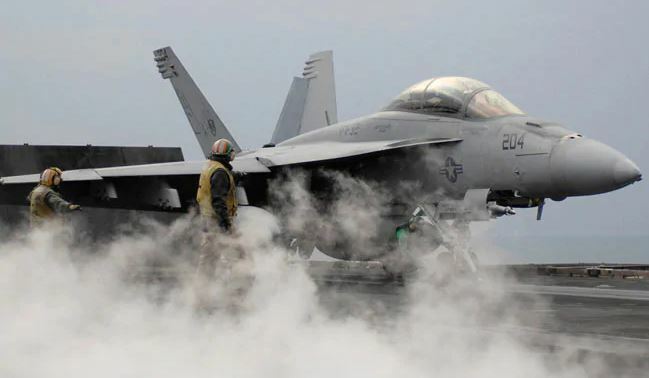 The US Marine Corps said the crash involved an F/A-18 fighter jet and a KC-130 tanker aircraft, which may have been conducting a refuelling exercise. “Search and rescue operations continue for US Marine Corps aircraft that were involved in a mishap off of the coast of Japan around 2.00 am December 6,” local time, a statement by the US Marine Corps said. Japan’s Defence Ministry said the two aircraft were carrying seven crew members in total collided and crashed into the sea about 100 kilometres south of the Muroto Cape on Shikoku island in southwestern Japan. The Maritime Self-Defence Force, which dispatched aircraft and vessels to join the rescue operation, said Japanese rescuers found one of the crew members in a stable condition. No other details were provided.